Living Libations Petite Salt Inhaler is a positively purifying device to keep in your purse or pocket as your hit the road or take to the air. 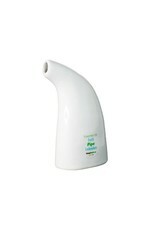 It cleanses and fortifies the breath and airways so that you can maintain some “airway privacy”. It is a super-simple way to add some warm verve to your vents and some verdancy to your vibe. 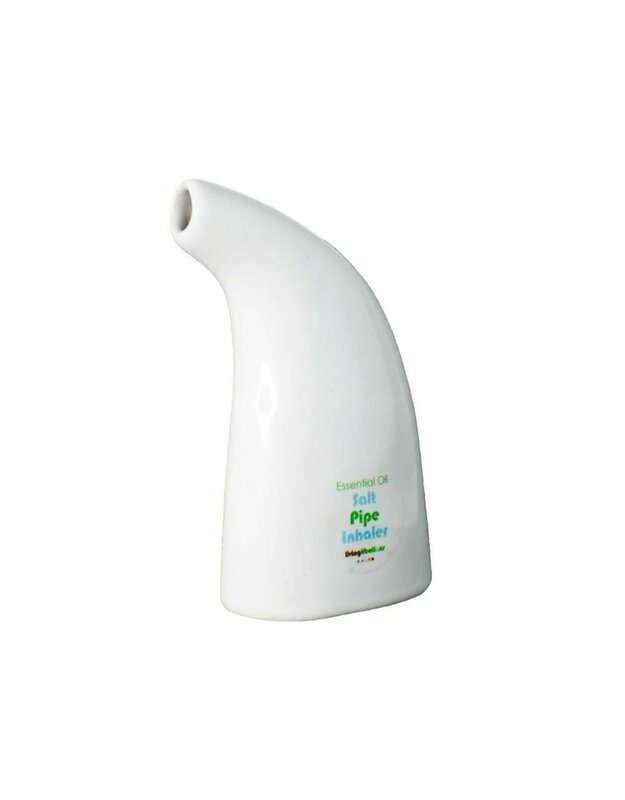 The Petite Salt Inhaler fits nicely in the palm of your hand and is perfect for travel because it is only 5 inches long and weighs about 4 oz. It is designed for only one person to use. Salt inhalers, also known as a salt pipes, have been featured on the Dr. Oz show and named one of Alternative Wellbeing’s 2010 Best New Products. **Please note: Salt Inhalers and essential oils are sold separately. This Classic Salt Inhaler brings a breeze of fresh air to your breath. It comes with a small bag of Himalayan Pink Salt, which is a pure, hand-mined salt that is derived from ancient sea salt deposits that are believed to be the purest salt available. The salt comes straight from the Himalayan foothills. It is often used for culinary, therapeutic, and cosmetic creations. This salt has beautifully formed crystals that range in color and size from off-white to a lustrous pink. After experimenting with the salt inhaler, we have discovered that it works wonders when the salt is combined with essential oils. We love adding peppermint, frankincense, inula, and black spruce oils to our inhaler. You can also try eucalyptus, rosemary, Douglas fir, silver fir, white fir, balsam fir, Longevity, Illume, and our Revive Alive Blends. It is also fun to combine breath-enhancing essential oils with a beautiful flower essential oil like neroli, rose, or chamomile so that you can also inhale a world of fragrant blossoms. When you inhale through the mouthpiece, micron particles from the salt and essential oil molecules are dispersed through the airway to bathe the body and spirit. Add 5 to 10 drops of oil to the salt in the inhaler, the aroma benefits are still active for a week to two weeks. Use: It is simple and easy to use. Hold the pipe up to the mouth inhale deeply through the mouth and exhale through the nose for 10 to 20 minutes, breathing through the inhaler at least every other breath. You can also practice alternate nostril breathing, holding the inhaler to each nostril and inhaling deeply, while exhaling through the other nostril. Since you will be placing the inhaler directly on the nose and mouth, it's important that inhalers are not shared.